Dr. Pratik Vyas is a research-informed Lecturer/Senior Lecturer of Information Technology (User eXperience and Data Visualisation) at the School of Science & Technology, NTU. Dr. Pratik is a Student Led Teaching Award winner in the field of Computing and Information sciences. His subjects include UX and data visualization, Internet Application Development and Interface technologies. 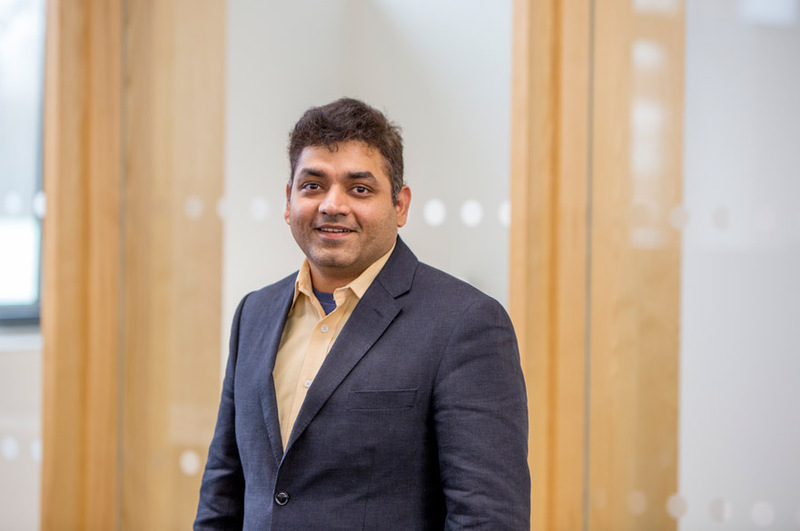 Pratik has HEA fellowship and SEDA qualification in academic mentoring. Pratik is part of Interactive Systems Research Group and has established research contributions in Open Design, Human-Computer Interaction and Co-design. His expertise is in data visualization skills for decision support, design skills for User eXperience (UX) and design management during web development SDLC, skills that he honed working as Business Analyst for many years. He is a recent AHRC grant awardee. AHRC funding for Organizational Learning with Mind UK and Blue Light Services.